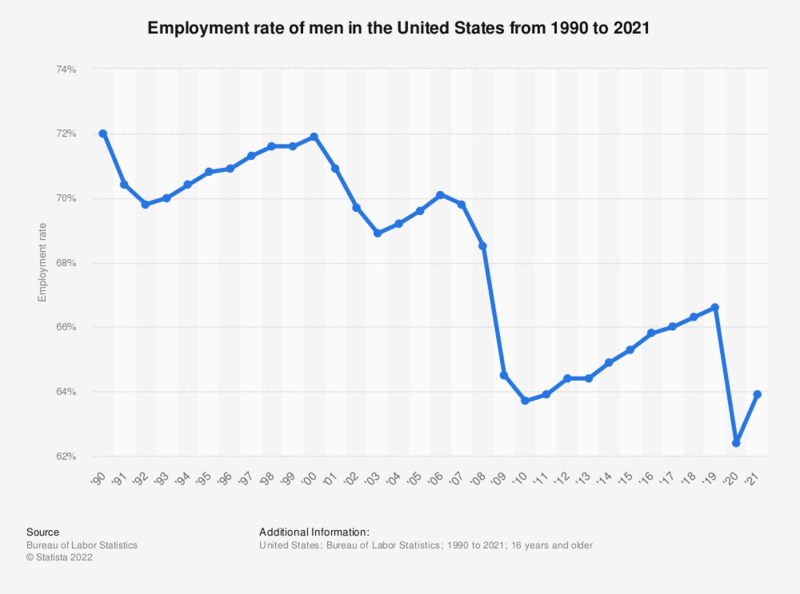 This statistic shows the employment rate of men in the United States from 1990 to 2018. In 2018, this rate was 66.3 percent. The monthly figure of full-time employees in the U.S. can be accessed here.